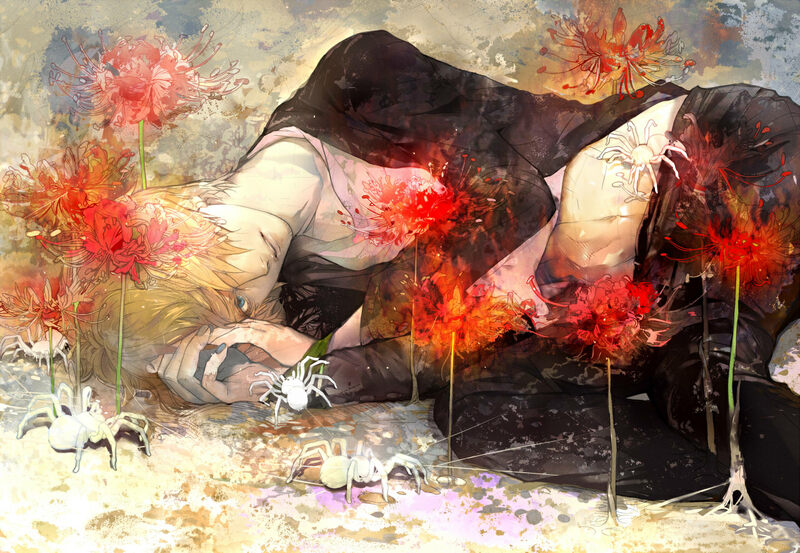 1,058 anime images in gallery. Tagged under ONE PIECE, Straw Hat Pirates, Ootani Ikue and Hirata Hiroaki. 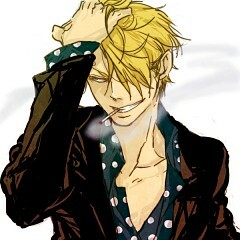 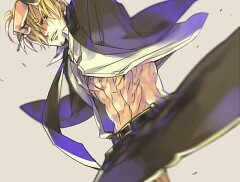 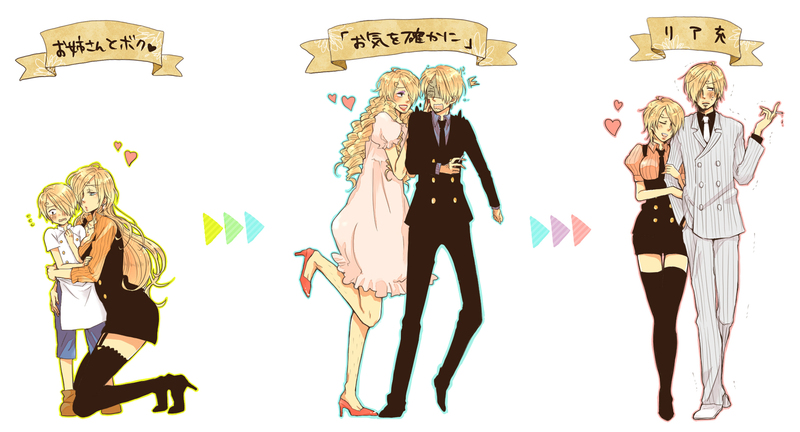 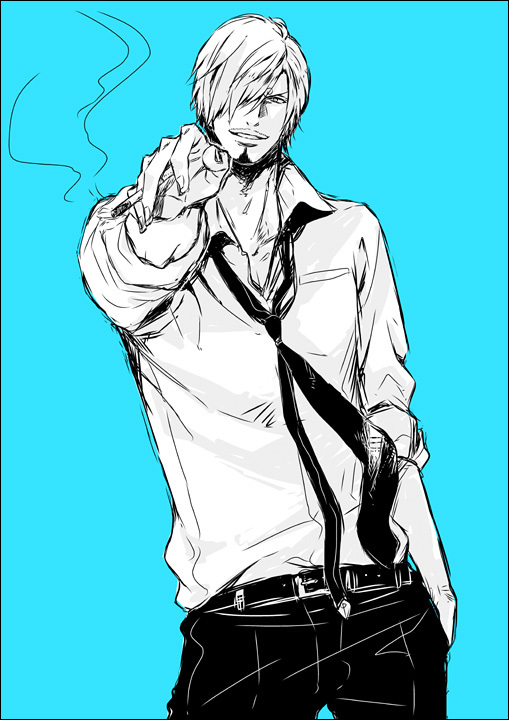 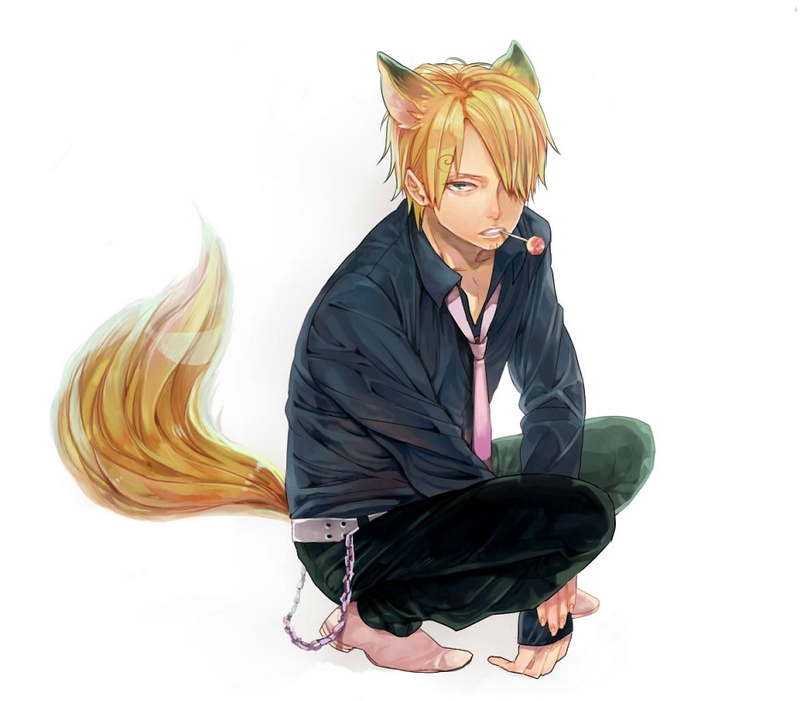 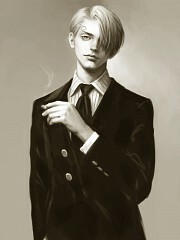 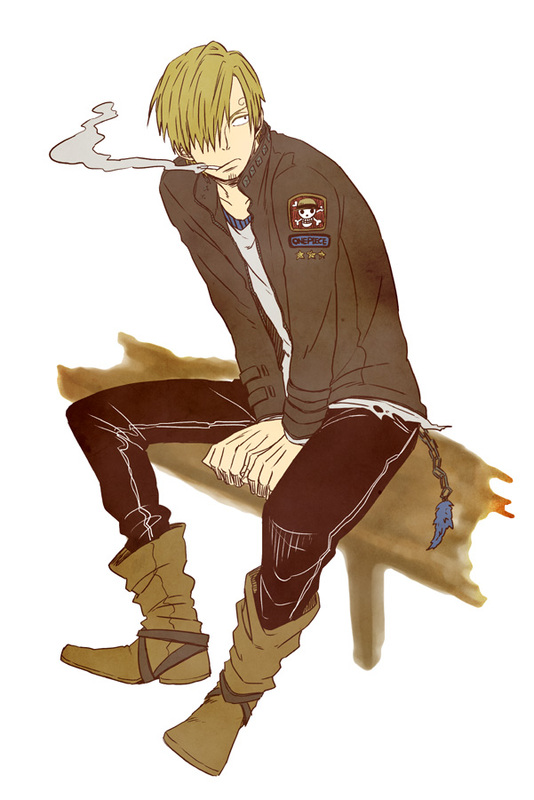 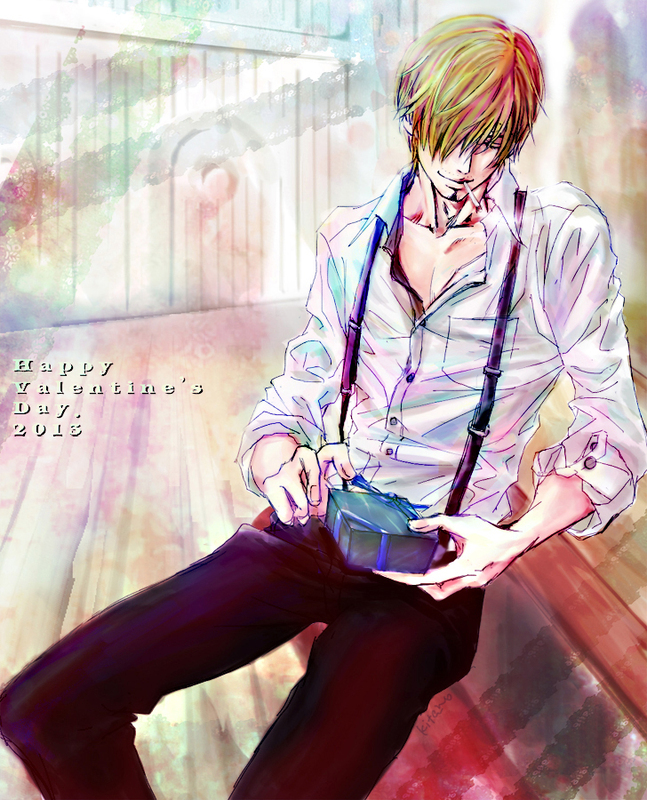 Sanji is a slim, yet muscular, long-legged young man with blond hair and keeps his hair brushed over one side of his face. 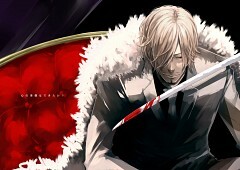 For the initial part of the series, this was the left side. 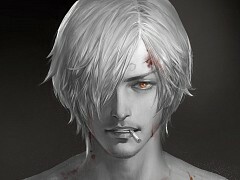 Due to his left eye never being seen, many fans have questioned whether he has one at all. 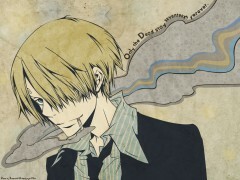 In the manga it was usually covered one way or another, but is seen in the anime. 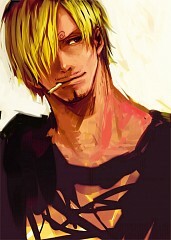 Later, after the two year timeskip, he switched his hairstyle so that it covers the right side. It also appears that Sanji's hair is less straight and scruffier after the timeskip. For his involvement with his fellow crew members in Enies Lobby, for defeating Jabra of the CP9, and for closing the Gates of Justice, Sanji is recognized as a threat by the World Government and is given a bounty of 77,000,000. However, because Attach of the Marines forgot to remove the lens cap when taking the picture, a proper picture of Sanji has not been taken. 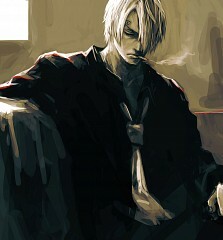 Instead, a crude drawing of a person that barely looks like him is substituted. 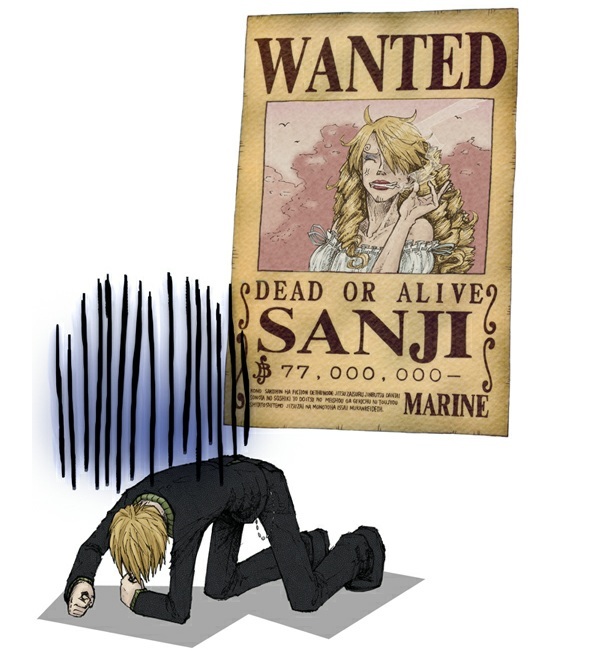 This, along with other incidents involving the picture, are part of a running gag on how Sanji has bad luck being recognized because of his bounty image. Sanji's dream, shared with Zeff, is to find the All Blue, a legendary ocean. 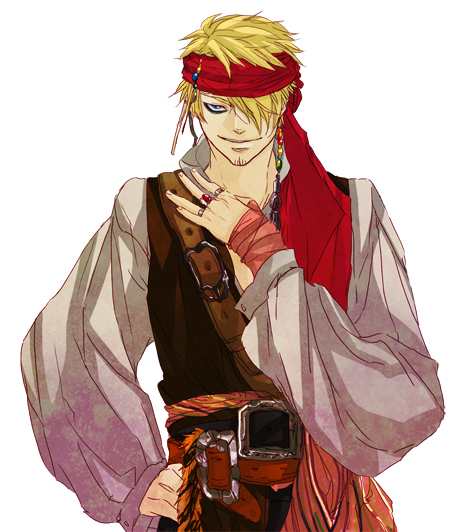 It is assumed to be in the Grand Line, a place where all waters from all over the four seas gather, bringing fish from all over the globe. 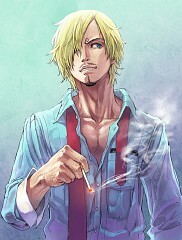 During the early-Arlong Arc, Sanji had stated that he wanted to visit Fishman Island someday to see a Mermaid, which has been fulfilled; sure enough, the chef broke down crying upon seeing all the mermaids and implied that meeting the mermaids was on an equivalent level to finding the All-Blue. He also wished to consume the Suke Suke no Mi but unfortunately for him, Absalom destroyed that dream as he had already eaten it. 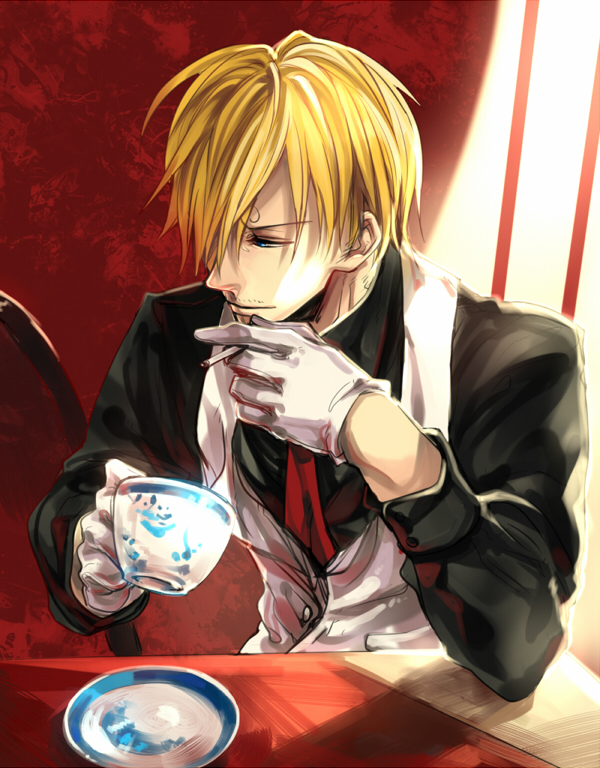 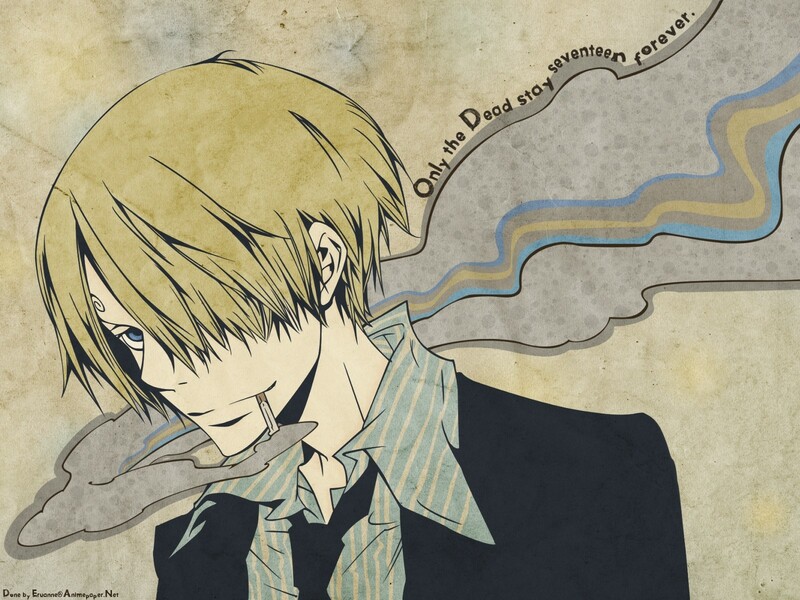 However, Sanji, upon seeing Absalom's detestable actions, changed his mind about his desire to consume it. 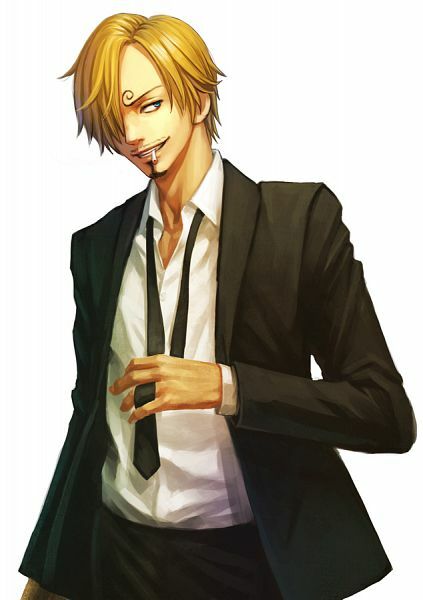 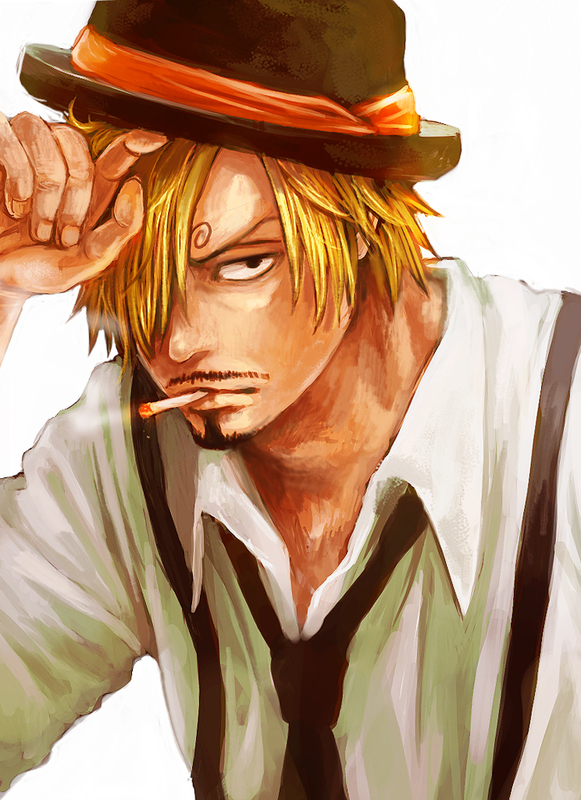 Sanji's goatee has grown significantly thicker, as well as having a soul patch with it, and a few mustache hairs. His hair now covers his right eye, showing his left and revealing that his left eyebrow swirls in the same direction as his right. He is now able to activate his Diable Jambe technique much faster and without having to spin, as well as generating large amounts of flame through fits of rage (by remembering his painful stay in Kamabakka Kingdom), entering a seemingly new form where his whole body is encompassed with fire, his kicks setting fire to anything he hits. 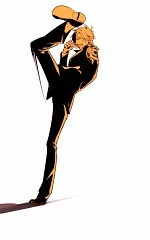 He has developed an ability to swim at very high speed using only his legs, a flying ability similar to CP9's Geppou, and he has apparently learned Ivankov's Spectrum technique. 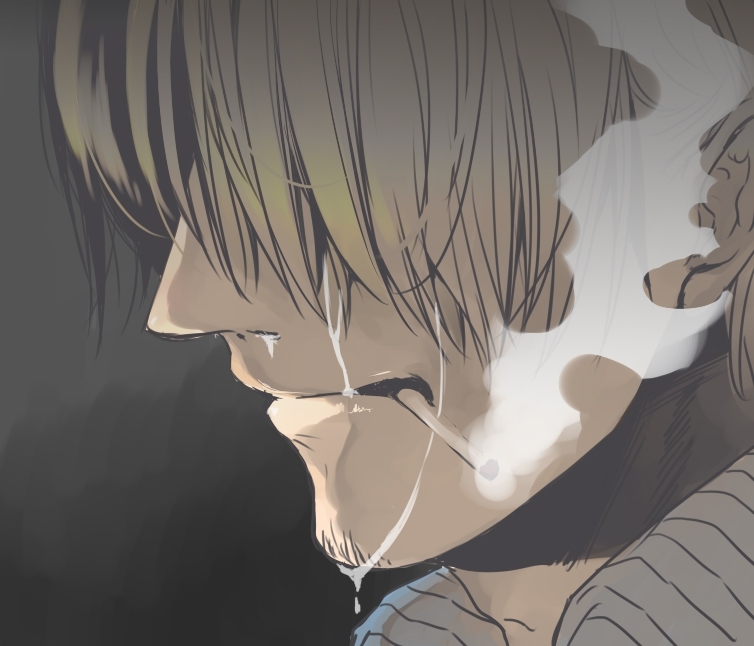 He has also learned how to use Haki, displaying the use of Kenbushoku Haki when searching for Kin'emon's body, and has been confirmed of being able to utilise Busoshoku Haki by Luffy.